Nestled in an Equestrian setting! 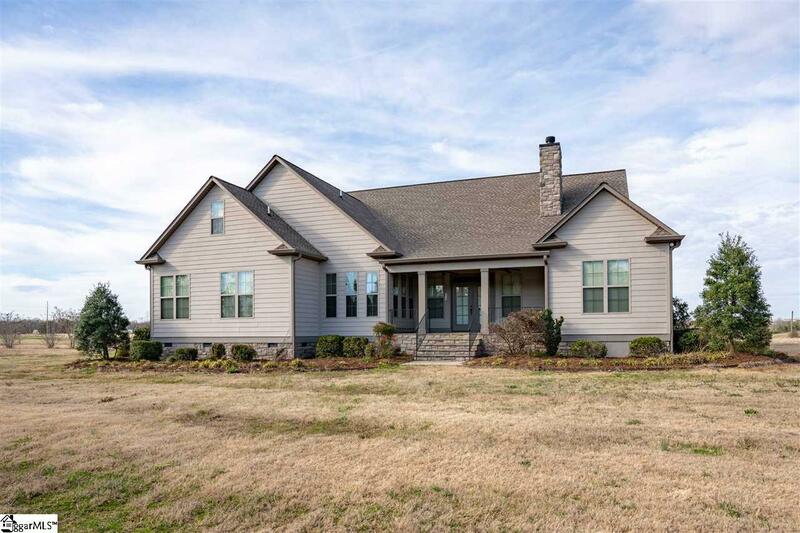 Country living at its best located just minutes from Tryon, Greer, and Spartanburg. 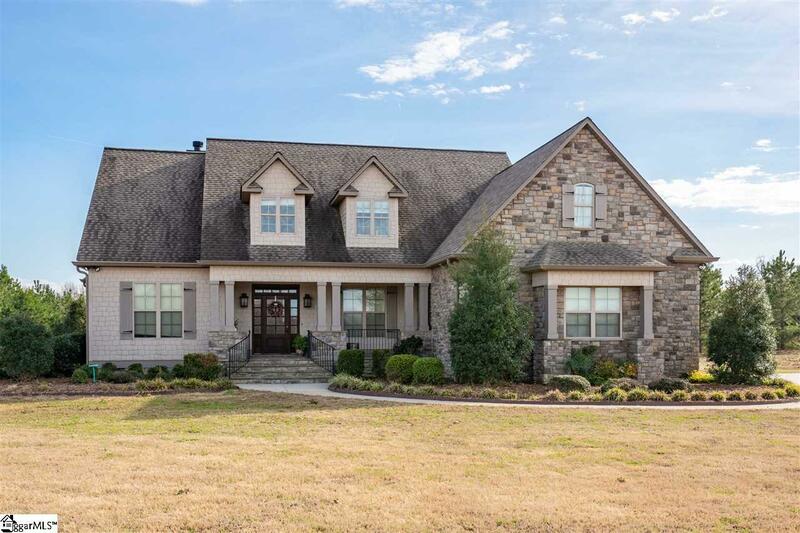 This custom home sits on 7.01 acres and has 4 bedrooms and 3.5 baths with a large bonus room and hobby room area. 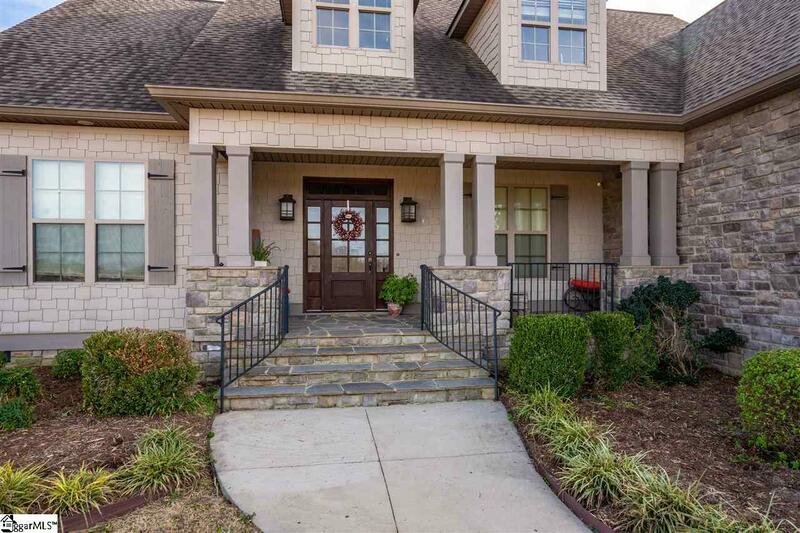 As you enter the front of the property you will love the large front porch that has breathtaking views of the mountains. As you walk into the foyer to the right is an office that is being used a bedroom now. The great room is stunning with stacked stone, woodburning fireplace, and built-in cabinets on both sides. 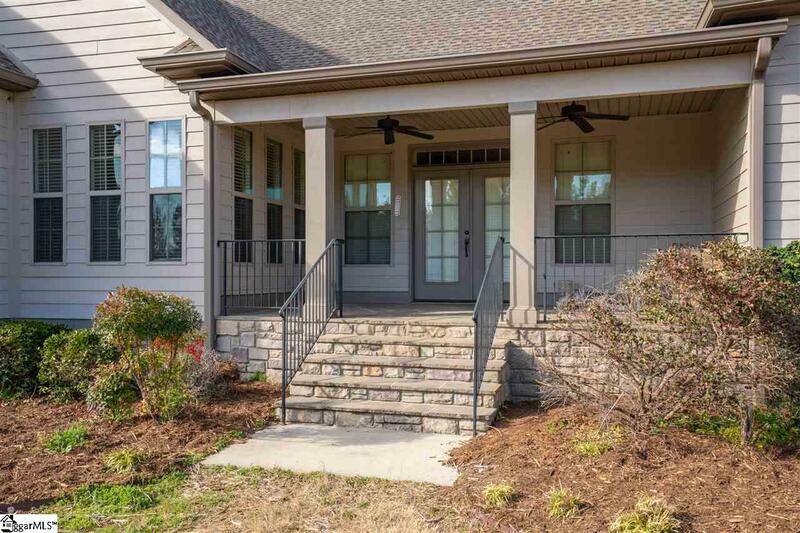 The Kitchen is open to this area and it has plenty of cabinets for all your needs, Granite counter tops, all Stainless steel appliances, including the refrigerator to remain and a walk-in pantry. The breakfast area overlooks the private backyard. The master suite is very large and has three nice sized closets, separate shower, beautiful garden tub, double sink vanity, plus a makeup vanity. This home has a split bedroom plan the other two bedrooms are downstairs and are very spacious with ceiling fans, good sized closets, a full bath with double sinks, and a separate area to shower. The laundry room is a great size with a pulldown ironing board and a place to hang your clothes. Upstairs has a huge bonus room, hobby room area, full bath with a shower and vanity. A huge bedroom with extra large walk-in closet. There is also a walk-in attic that has flooring for tons of storage. Back downstairs you can go out back to a cozy covered porch with two ceiling fans and enjoy your morning coffee. Hardwoods throughout the main floor except for the bathrooms and laundry room which are ceramic tile floors. Double Garage with a work area, this home has so much to offer. Call today for your Showing.